Over 25 highly engaging interactive exhibits, a 16-minute original feature video theater, multi media installation sculpture, and rich graphic displays are used to convey the principle message of the importance of water in all of our lives, and the crucial role that we play as individuals in its protection and preservation. This message is conveyed with a balance of humor and earnestness that ensures its effective communication to a wide audience. 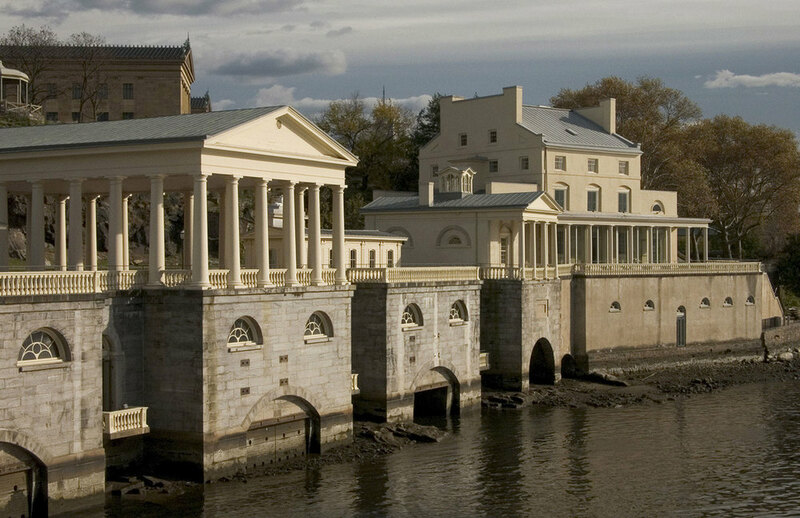 The Center occupies 7,500 square feet of the historic Fairmount Water Works on the Schuylkill River. 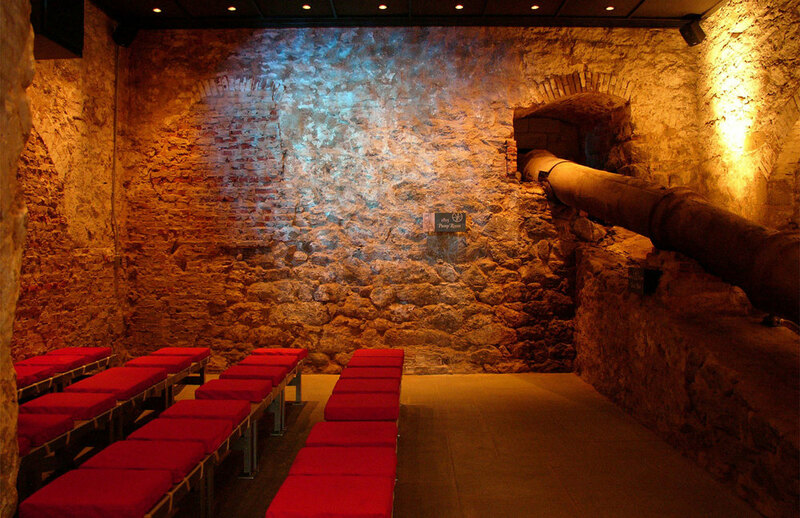 Our contemporary exhibits are visually and functionally compatible with this 18th century historic site and have been innovatively designed for quick removal, hoisting to the ceiling, or submersion in the event of flooding. 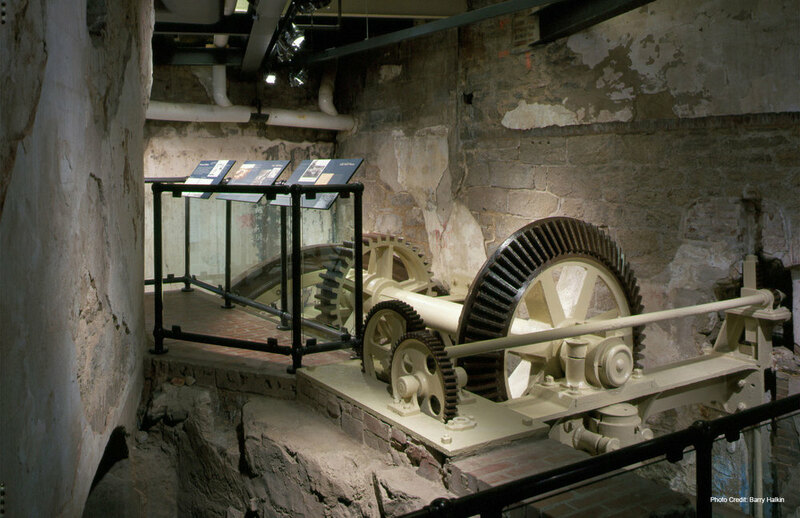 The Fairmount Water Works Interpretive Center has been the recipient of numerous awards for its scientific and historical interpretation, architectural restoration and environmental education. It has recently been named to Architectural Digest's list of the 150 Great Designs in the World. "What Have You Put in Me Lately" interactive "voting machine"
“The Fairmount Water Works Interpretive Center (IC) was a difficult challenge - a unique, urban water environment education center in the nation's most historic pumping station. SFD assembled a team which worked patiently with this large bureaucracy to create cutting-edge interactive exhibits, elegant or fun (as warranted) graphic panels, and effective sculptural elements, all of which capture the attention and imagination of the visitor, leaving them wanting to find out more. And, the IC can, and does, provide more!